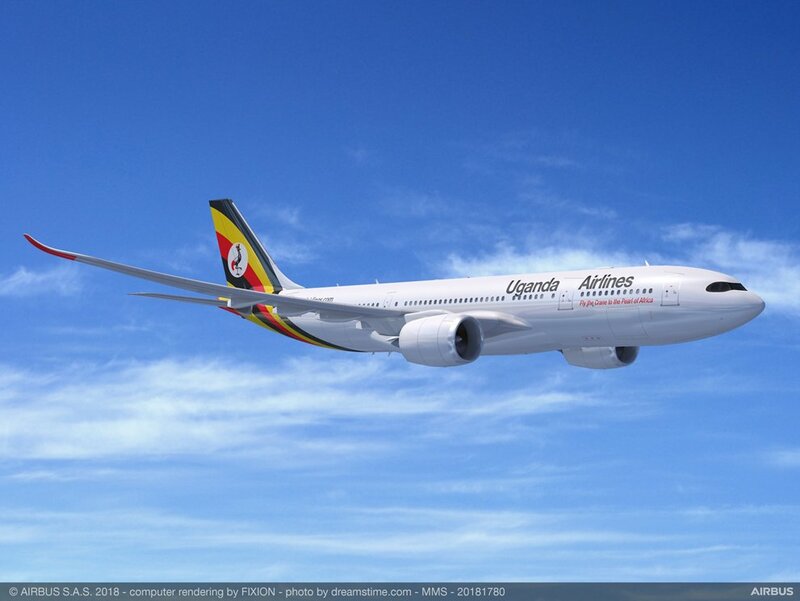 Uganda Airlines, has firmed up its order for two A330-800 airliners, a statement from the European aircraft maker says. The deal was firmed up on April 3. No details about the price, delivery dates and how much has been placed in deposits was available. But this means that the supply chain can be activated to make the parts that will be used to assemble the aircraft and the purchase will now be reflected in Airbus’ official order book. Uganda signed an MoU for the purchases during last years edition of the Fanborough Air Show and a $800,000 preliminary deposit was made at that time, according to Ms Monica Azuba the Minister for Works and Transport. Uganda Airlines intends to use the A330’s, dubbed the entry level wide-body, to develop its medium and long-haul network. The aircraft will come fitted with the new Airspace by Airbus cabin,which features a the world’s first flat aircraft ceiling and near straight side walls. With a range of just over 15,000 kilometres, the A330-800 gives Uganda airlines the ability to reach most destinations in the western and eastern hemispheres direct from its Entebbe base. The carrier also expects to take delivery of the first two Bombardier CRJ-900 jets on April 23.